Researching local history or tracing genealogies is an increasingly popular pastime. This page provides some useful links for those delving into Stilton history. CCAN aims to capture and preserve community documents, photographs, cuttings and maps, as well as personal reminiscences in audio and video, and present them in a consistent and searchable digital format on the internet. Stilton joined the CCAN network in April 2008. We have already begun to scan and document the contents of the village archive books, but we’re a bit short-handed! If you would like to be involved with this project, or if you have any historic material you would like to contribute to Stilton’s archive, please contact us. 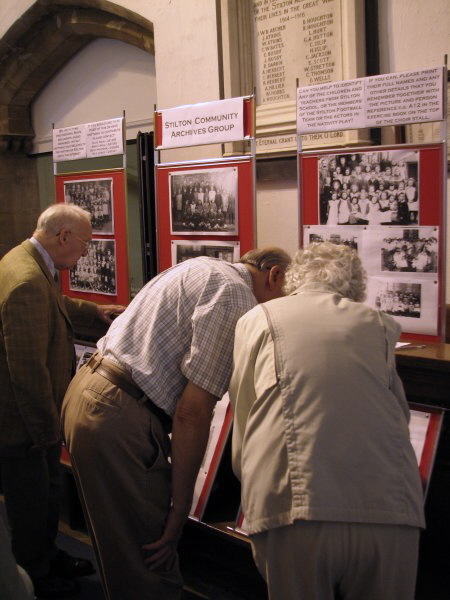 The CCAN project is supported by Stilton Community Association and Stilton Parish Council, Cambridgeshire County Council’s Libraries, Archives and Information Service, and the Heritage Lottery Fund. The CCAN project was featured on BBC Look East in November 2008. If all else fails, or you want to contact long-lost friends or relatives in Stilton, just fill in the Contact Form and we’ll post your enquiry in SCAN.